Losing This Job to AI? 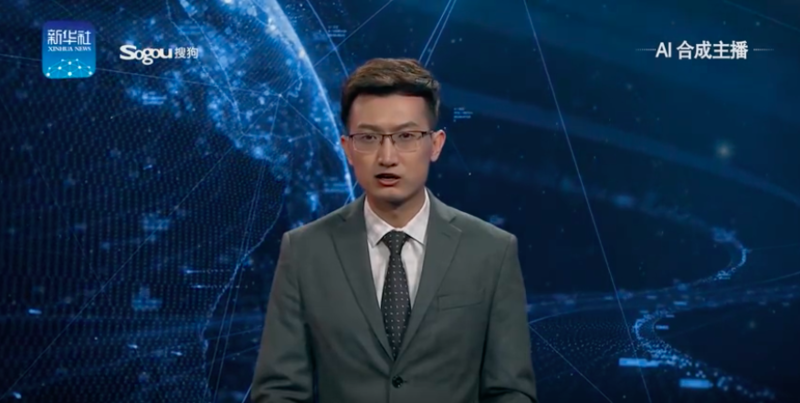 Watch the video below – this is an AI-powered TV anchor. Doesn’t look too bad to me. The voice intonations need some work but, over time, will do well, I think. A bigger question is – why would we even want to seat in front of the TV and watch this guy? I can read what he has to read on my own. Alternatively, I can just listen to him while doing something else. The only reason I will watch someone on TV is because he/she has a personality, charm, charisma, and is likable, controversial, … Basically, has human characteristics that make a person interesting. And I doubt this would ever apply to the AI-based TV personality. Even if the technology will be able to deliver all of the above, we will all know – this is fake! Thus, this whole exercise is just a waste of time, IMHO. Also read this and this. This entry was posted in Computers, Humor, Past, present, and future, Robots, robotics, intelligent machines, singularity, The future of artificial intelligence, Videos, movies, and films and tagged AI, artificial intelligence, future. Bookmark the permalink.